The absence of economic growth disturbs even the most peaceful individuals. With this in mind, we felt like exploring the moral consequences of it, and briefly present it to you. Likewise, we implement Friedman’s advice, and we hope you’ll do the same. Who Should Read “The Moral Consequences of Economic Growth”? And Why? All things considered, we think that “The Moral Consequences of Economic Growth” is best equipped for people involved in economy and politics, and thus enforce change on the personal and collective level. As a book with valuable insights, we challenge you to think about economic growth from a moral standpoint. 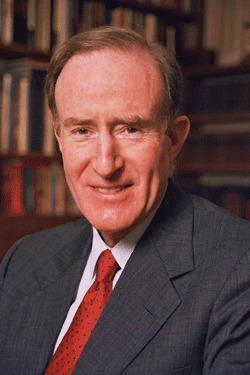 Benjamin M. Friedman is considered to be one of America’s leading figures in the economic sphere in the 20th century. He was born in 1944 in Kentucky and momentarily is a professor of political economy and ex-chairman at Harvard University. 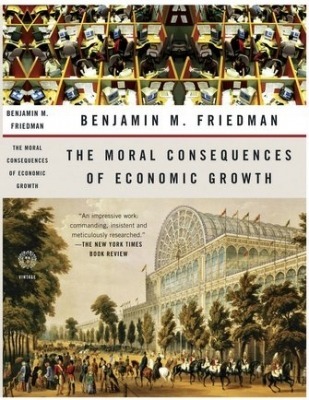 Even though, Benjamin M. Friedman’s expertise is obtained through universal education, in this book he mainly emphasizes the importance of morality. One might assume that economics is the top topic for today, but this outline circles around finance, growth, ethics, and consequences of making bad decisions. The goal is not to make you regret but serve as an encouragement for you to eliminate all the boundaries you’ve imposed on yourself. Friedman goes one step closer to economic growth, by challenging some traditional academic norms and giving priority to Western Democratic principles as a tool for reaching prosperity. In fact, he devises the murder of poorness and offers “behind-the-curtain” insights related to the economy. Our ignorance is the main reason why we remain blinded to concepts which are out-of-this-world, and why we continue to show allegiance to pointless ideas. In other words, you are now gaining full access to info that you’ve neglected in the past. Besides, the best way to purchase a “bed-of-roses” is to awaken that inner potential. Nevertheless, don’t get too excited because you’ll have to hear the other side of the story. Impartially, Friedman presents standards that clear out the picture, until you are prepared to climb to the top of the building – meaning that you’ll have plenty of opportunities to apply these ideas. Despite the claim – economic growth is on the same wavelength as social progress, in reality, many variations occur. Take democracy and socialism, for example, the centralized power allows the state to fully control all the imports, exports and commodities and thus suffocate the market, but democracy intertwined with capitalism, on the other hand, promotes free-economy. Is that correct? – Probably not! Many wrong decisions endanger the concept of prosperous population, even in democratic countries. Nowadays, we still struggle to cope with the counterexamples which confirm the uncertainty in the realm of economy. Moreover, how to empower social morality is a question, without an absolute answer. Numerous factors affect the strategy being used to achieve this level of honesty, but almost all of them reveal the bitter truth – it’s hardly possible. The author, in various occasion quotes about life, morality, ethical tensions, racial abuse, etc. All of these are sum up to be perceived as a serious issue, requiring maximum attention from the world. Although we’ve managed to overcome some racial tensions, this is an unresolved problem. On the bright side, such thing never happened. Instead, the massive mobilization of people resulted in economic growth, and prosperity. The civilians once again felt hope, which resulted in societal moral improvement worldwide. Apparently, this was not enough, and especially the U.S. integrated many minorities including the African-Americans into their economy and consequently improved the living standard. Of course, America was built on moral ideals such as liberty, social justice, tolerance, prosperity, etc. Having experienced hard times, the USA has been forged in the fire of war, brotherhood, stability, economic growth, and partially recession. Right after the war in 1946, the U.S. Congress had no other choice than to take drastic measures in order to foster employment and surpass the difficult era. The government developed the “Employment Act,” which had an intention to ignite the entrepreneurial, and working spirit among the Americans. Whether you agree or not, this policy managed to cope with the postwar recession and opened the gates to the new age. The Great Depression didn’t abandon us in 1932 but lasted until 1941. When WW2 broke out in 1939 as a result of mass unemployment, the people began seeking shelter behind radical right and left wingers. Even though the war ended, and the world was ready to go back to its daily routine, the experts were worried that the economy might once again decline, driven by WW1 Scenario. Obviously, most discussions linked to economic growth refer to facts, and info drawn from reliable sources. In general, economy raises a few eyebrows when it comes to analyzing incomes, and how morality will improve people’s living standard. Additionally, we find comfort in trying to explore new possibilities and take advantage of many opportunities. Remember that utilizing new technologies and investing in other companies is not the only way to expansion. “The Moral Consequences of Economic Growth” indicates that economic improvements will pull other things in the same direction. In other words, Benjamin M. Friedman encourages you to look economy from a historical perspective, while morality continues to expand as a result of a better living standard. To sum up, we were amazed and thrilled by this fact-filled, comprehensive book.